IN JUST minutes, generations of history and a lifetime of family memories was turned to ash. 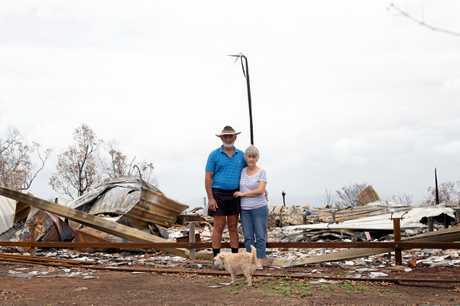 Kabra couple Wig and Fiona Dailey lost everything, including irreplaceable pieces of family history handed down through several generations, when a horrific fire swept through Kabra towards Gracemere in late November. 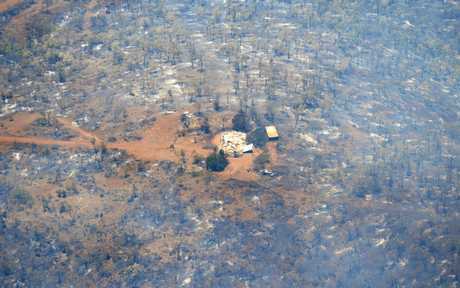 Although they were aware of fires burning in Stanwell, the couple barely escaped the flames when 70kmh wind gusts whipped the fire into an inferno. Daughter Emma said a "wonderful neighbour" tried to help, but they soon realised their safest option was to leave. "Dad seeing the hopelessness of the situation sent him (the neighbour) back to his own home and family," she said. 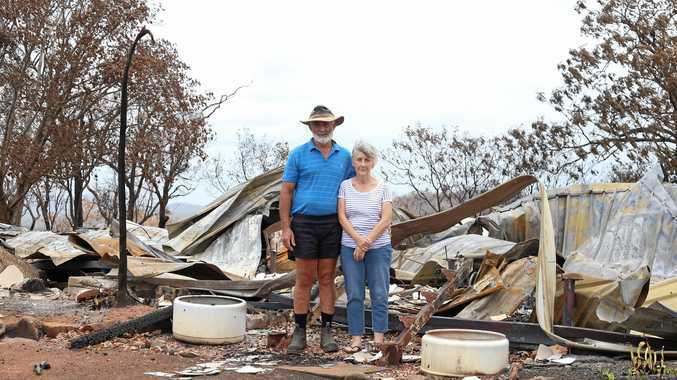 They fled their Kabra home of 20 years and by the time they reached Emma's house on the flats of the 97ha farm, they knew they wouldn't return as the hill their home sat on was engulfed. 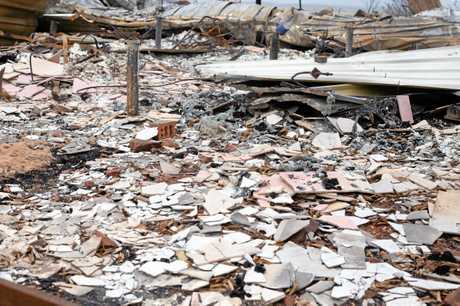 Despite the heartache at losing their home, Emma said her parents and their entire family were just grateful they had all survived as "that could very easily have not been the case". "If they hadn't left when they did, they wouldn't be here," she said. "It's just luck really and good management by Dad, there's nothing else to it." Emma said her parents were still struggling with the enormity of the loss and the monumental task ahead of them to rebuild their life. "They've lost the house, all of their possessions," she said. "They had heirlooms from their parents, their grandparents, their great-grandparents. "They've lost all of their ordinary possessions, all of their family history, even mum's wedding ring. "It's the irreplaceable things that are hard to come to terms with the loss of, it still doesn't all seem quite real. 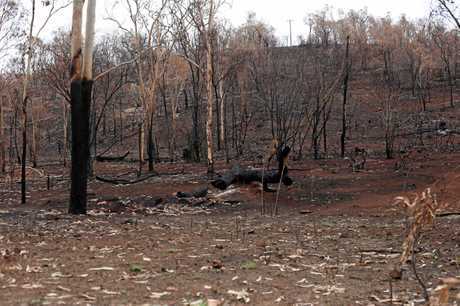 "There is nothing left to salvage, the intensity of the flames in the house turned the veranda boards to dust, only the nails remain, in lines were the veranda once was and in their shed the aluminium canopy from the ute was turned into a melted puddle that slid down the side of the hill". "Whilst trying to get our heads around all that has happened we've had to set them up with everything they needed in temporary accommodation, sell 80 per cent of the stock as there are no fences left to keep them in and the paddocks are just ash, spread seed over the farm to assist in regenerating the pasture, try to organise fencing supplies and have just began patching fences. "It's been a very intense time and we aren't out of the crisis phase of all this just yet. "We are so appreciative to all those who have been there to help. "We've great deal of work ahead of us are looking forward to life one day feeling more normal again. 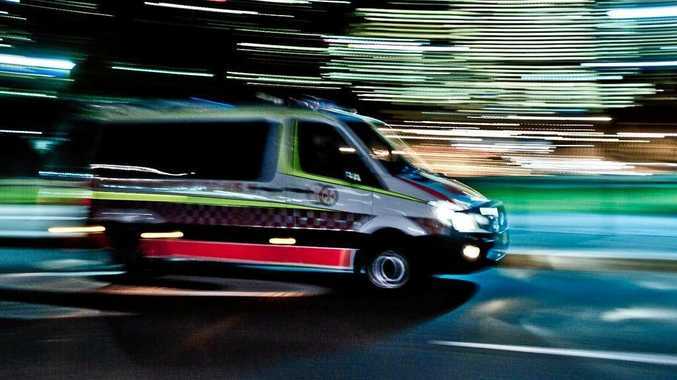 "The task has been made slightly easier by a community fundraising page which has so far raised over $8000 set up by friend who has been incredible in helping to organise assistance for the family." Emma said her parents were immensely grateful for the response and overwhelmed by people's generosity, but explained her father was finding it hard to accept help. "It's really hard for my dad in particular to accept help of any description," she said. "Even though he really needs it right now, it's not easy". You can help the family by donating to their Go Fund Me here.